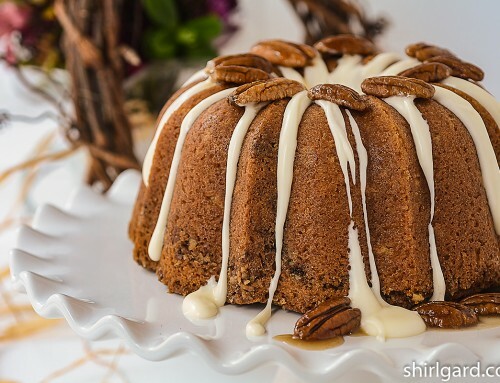 This filling was designed to be used as an all-purpose apple filling that can be used for pies, tarts, breakfast pastries, or anything else that you might think of. It can either be cooked in a skillet on top of the stove or baked in the oven, depending on your mood. Either way is easy. The flavorings include honey and Calvados. Although there is no cinnamon, there’s no reason why you couldn’t add a little, if you like. 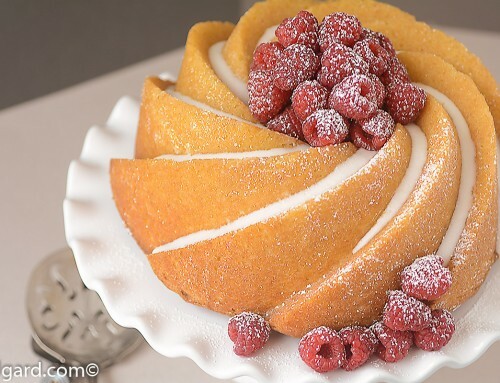 The inspiration for this filling comes from a recipe for “Apple Financier Tart” in Simply Sensational Desserts by François Payard (1991). I like using Honeycrisp apples for this filling, but green Granny Smith apples work as well, and are available year round. 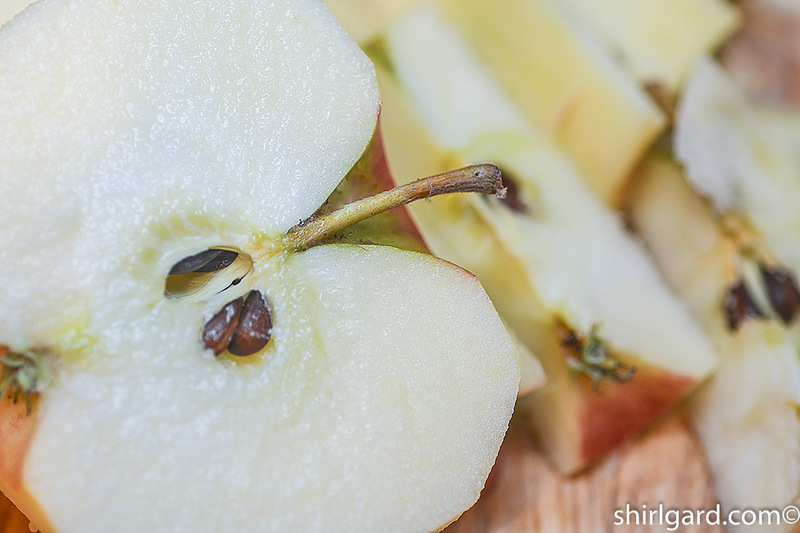 Cut peeled apples in half, then quarters, and then cut off the cores on an angle. Cores cut off on an angle. 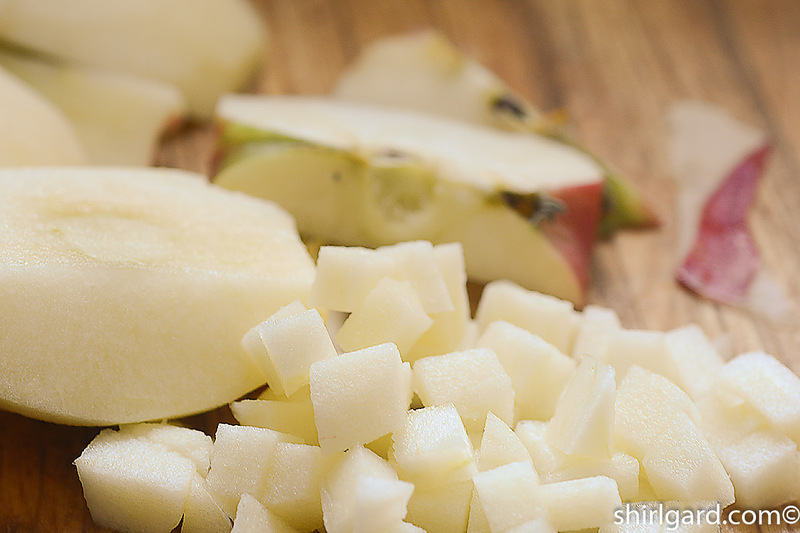 Cut the quartered & cored apples into 3/8″ chunks. 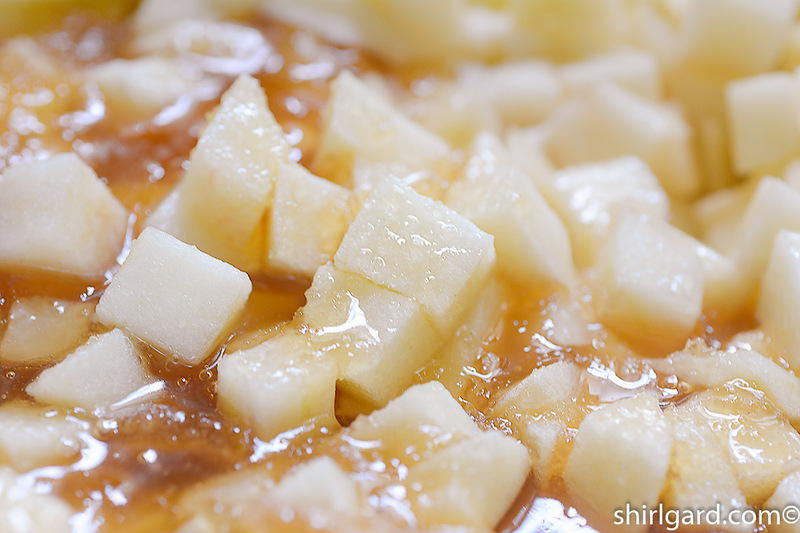 Mix the apple chunks with the honey. 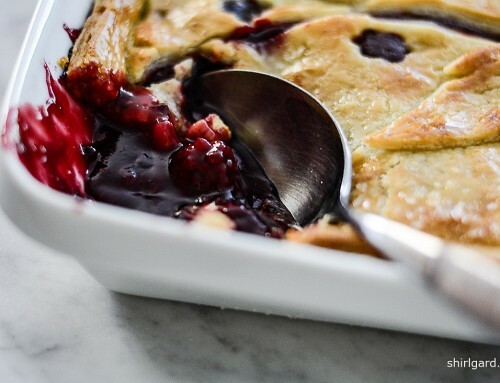 After mixing in the sugar and Instant ClearJel, either cook the filling in a skillet or bake in a foil-lined half sheet pan. 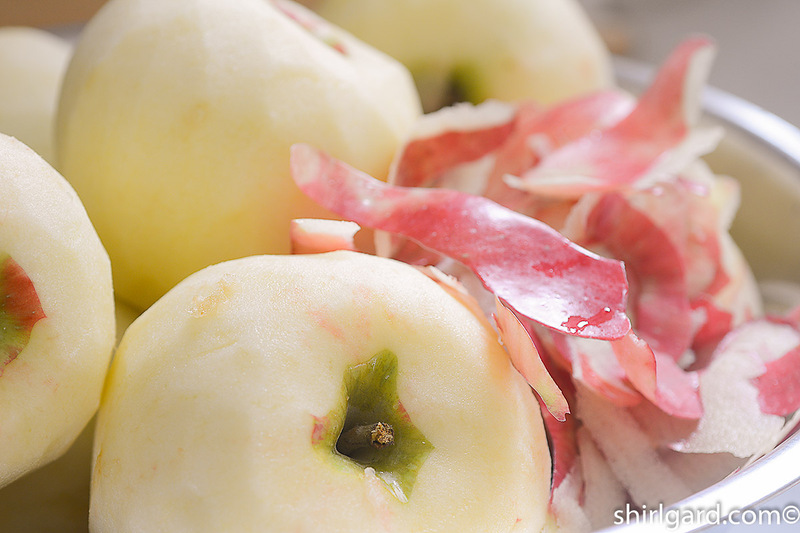 TOSS prepped apples with honey. TO COOK IN A SKILLET: HEAT the butter in a large 12" skillet on medium-high heat until sizzling and just starting to brown. 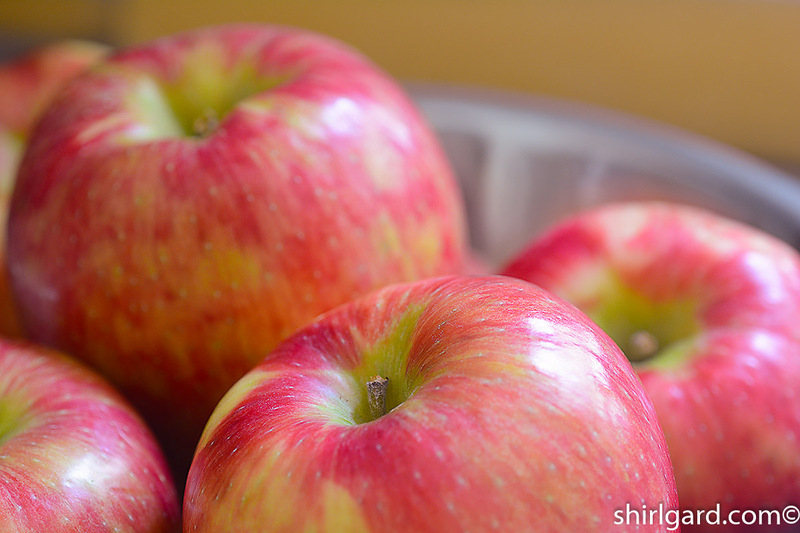 ADD apples to the skillet, turn heat to high and bring up to a simmer. Add Calvados. Cook 5 minutes. WHISK together the sugar and Instant ClearJel, and salt. 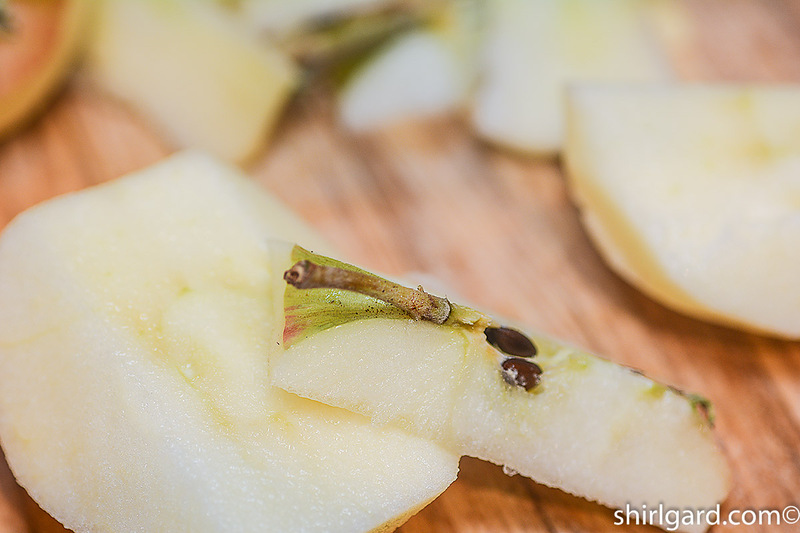 Stir into apples. FINISH cooking until the apples are tender, another 5 minutes. 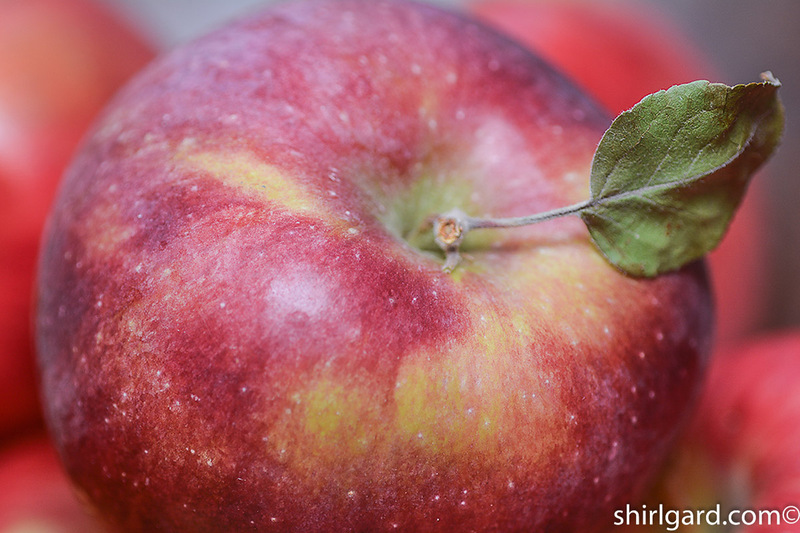 Taste the apples for doneness; they should be tender but still have a crisp texture. TO BAKE AS AN ALTERNATIVE METHOD TO COOKING IN A SKILLET: Combine the prepped apple chunks, honey, butter (melted), and Calvados. Whisk sugar, Instant ClearJel. and salt. 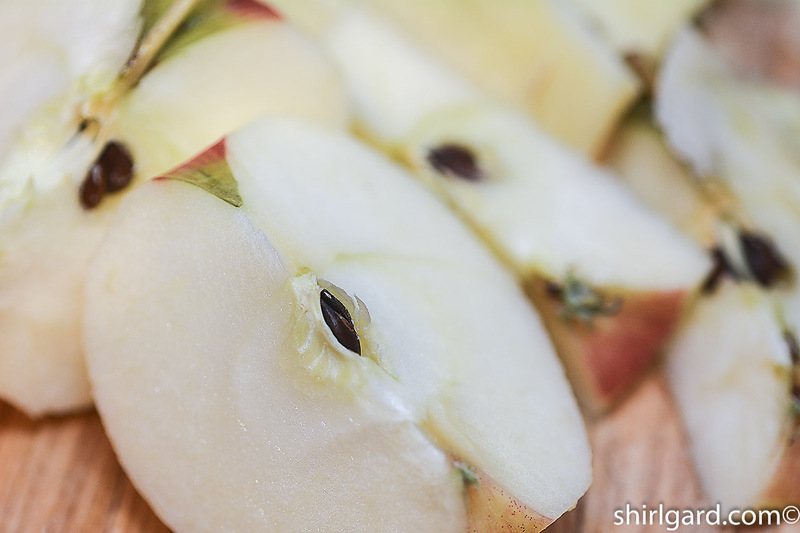 Stir into apples. 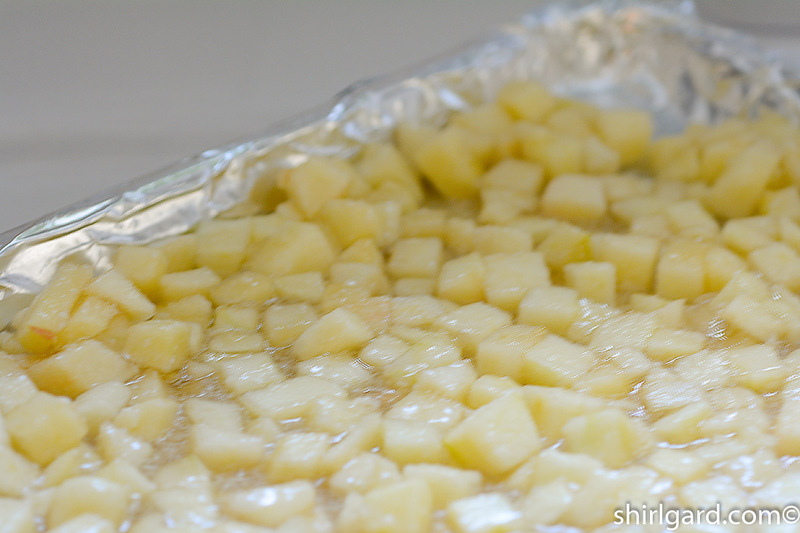 Spread apples on foil-lined half sheet pan. BAKE uncovered at 350°F (176°C) for about 35 minutes. Taste for doneness. 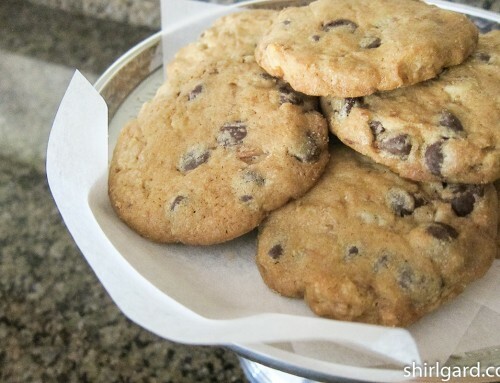 If necessary, bake another 5 minutes. TRANSFER filling to a bowl to cool. Ready to use in any recipe. REFRIGERATE for up to one week, if making ahead. 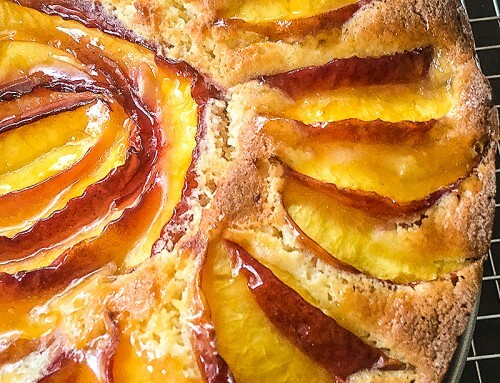 Inspired by the apple filling included in the "Apple Financier Tart" recipe in François Payard's "Simply Sensational Desserts: 140 Recipes for the Home Baker" (1999).